This publication is now available as an eBook. 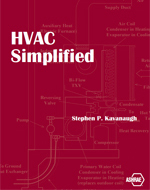 ASHRAE eBooks are formatted as .epub files. To view this format, you must have a reader program installed that supports .epub. Please verify your device supports this format before purchasing. Reader app and device may affect the display of technical information presented, so ASHRAE recommends using a full-size tablet and/or reader with zoom capabilities. Amazon Kindle readers may not support the .epub format without first converting the file. Questions? Contact bookstore@ashrae.org. 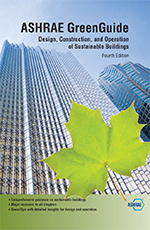 This fourth edition of ASHRAE GreenGuide is an easy-to-use reference with information on almost any subject that should be considered in green-building design. The GreenTips found throughout this edition highlight techniques, processes, measures, or special systems in a concise, often bulleted, format. Also, information is provided in dual units - Inch-Pound (I-P) and International System (SI) - so that the content is easily applicable worldwide. References and resources mentioned are listed at the end of each chapter for easy access.